The process of acquiring and onboarding new employees should be a seamless one, all the way from job requisition to onboarding. Kinks in the process can slow down your hiring process, add unnecessary costs, and ultimately, cause you to lose good candidates. In contrast, a smooth talent acquisition solution will save time, reduce costs, and increase compliance, among other benefits. 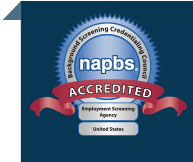 When it comes to talent acquisition, employment screening is a service component that should not be overlooked. Since screening comes toward the end of the process, where you have a desirable candidate on the line ready to be hired, it should take nothing more than a click-of-the-mouse to order, track, and review the results of a background check. There’s no time to waste re-keying data into a separate system, manually verifying order details and results, and migrating files from one system to another. The obvious solution is to integrate employment screening with your talent acquisition solution so your hiring managers can quickly and easily move ready-to-hire candidates quickly through the due diligence background screening process. 1. Purchase a talent acquisition or applicant tracking system that is pre-integrated with employment screening services. 2. Talk to your employment screening provider about integrating your account into your existing platform/technology. If you’re using a talent acquisition platform to manage your hiring process or if you’re seeking to deploy a new talent acquisition solution in your organization, be sure to ask if it has employment screening built in. That’s the first question you should ask. Many quality screening companies are well-equipped to integrate their technology with your existing systems so there’s no need to reinvent the wheel. Look for a provider that displays the HRXML logo and ask about their experience and in-house capabilities when it comes to customizing a technology solution. In the end, integrating employment screening and talent acquisition is a simple endeavor that can reap big rewards. Take the time to read about our Integrated Talent Acquisition Solution and let us show you around with a live demo.